Round Glass Ornaments are expertly created and ready for decorating with glass paints, glass decals, oils, acrylics, etc. Can be decorated from within or without. These traditional hollow glass ornaments even look great undecorated. (A) Glass Ornaments, Clear 3-1/4" Dia. 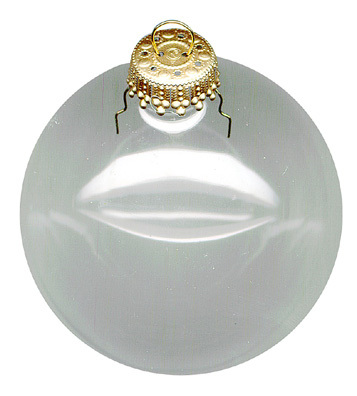 (B) Glass Ornaments, Satin Gold 2-3/4" Dia. 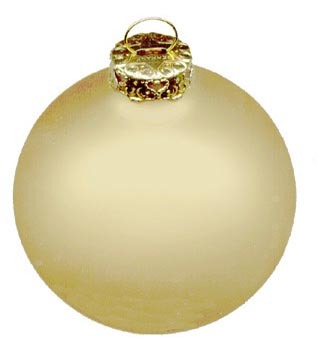 (B) Glass Ornaments, Satin Gold 3-1/4" Dia.